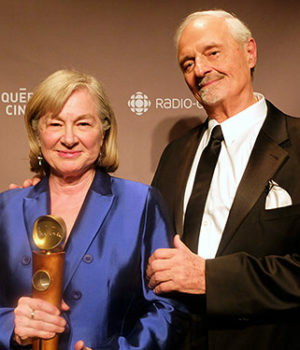 Photo of Micheline Lanctôt & Ted Kotcheff © 2014 Maurie Alioff for Northernstars.ca. Françoise Micheline Lanctôt studied music, fine arts and theatre at the Collège Jésus-Marie in Outrement, a suburb of Montréal, Québec. Later she studied art history at the Université de Montréal and then spent a year at the École des Beaux-Arts. She switched her focus to film animation in the late 1960s, initially working at the National Film Board and then at the Gerald Potterton studios, where she stayed for four years. There, a fateful encounter with Gilles Carle resulted in her 1972 role in La Vraie Nature de Bernadette, for which she won an Etrog (the precurser of a Genie Award) for best female performance. In 1979, she wrote her first full-length film which she also directed. L’Homme à tout faire won the silver medal at the San Sebastian Festival in 1980 and picked up eight Genie nominations including best direction and best film at the Canadian Film Awards in 1981. Her second full-length feature, Sonatine, which launched the career of Pascale Bussières, won numerous awards, including the Lion d’Argent at the Venice Film Festival. In 2000, Lanctôt received the Albert-Tessier Prize for her body of work in cinematography and in 2004 was honoured with a Governor General’s Performing Arts Award. 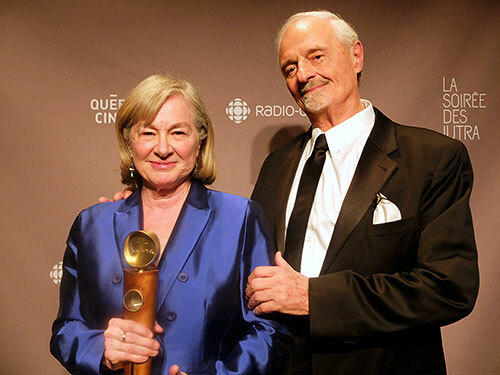 In 2014 Micheline Lanctôt was honoured with a Lifetime Achievement Award at the 16th annual Prix Jutra. 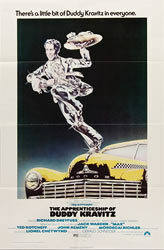 Surprising her and the audience was an appearance by Duddy Kravitz director, Ted Kotcheff.